SAN FRANCISCO--(BUSINESS WIRE)--Splunk Inc. (NASDAQ: SPLK), first in delivering “aha” moments from machine data, today announced a definitive agreement to acquire VictorOps, Inc., a leader in DevOps incident management. Under the terms of the agreement, Splunk will acquire VictorOps for a total purchase price of approximately $120 million, subject to adjustment, to be paid in cash and Splunk securities. The acquisition is expected to close during Splunk’s fiscal second quarter, subject to customary closing conditions. Customers around the world are demanding innovative digital experiences that place a burden on development teams to innovate faster than ever before; however, challenges such as vague alerts, reactive operations and siloed teams often get in the way of delivering high-quality customer engagements and fully embracing an IT strategy fueled by AIOps. To combat this, organizations are increasingly turning towards artificial intelligence (AI) and machine learning (ML) solutions to help them focus on critical aspects of the customer experience. 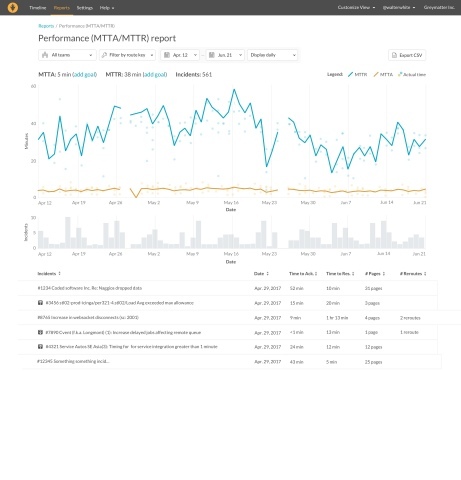 By applying ML and AI to monitoring, event management and incident management data, Splunk and VictorOps will enable DevOps teams to speed resolution and learn from past actions to make proactive recommendations. Thousands of customers use Splunk® Enterprise to proactively monitor, visualize and get answers from their machine data. 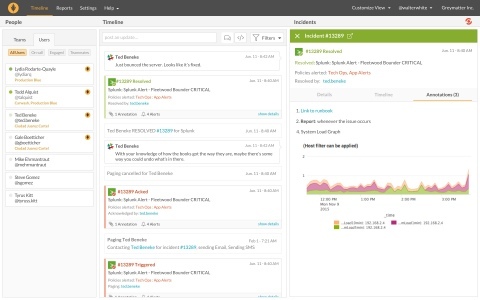 The combination of Splunk Enterprise and VictorOps will deliver a ‘Platform of Engagement’– combining monitoring, event management, on-call management and ChatOps. Ultimately, this enables modern engineering and operations teams to quickly solve problems in high-velocity deployment environments to maximize customer success. Nearly all of the purchase price consideration will be paid in cash, funded from Splunk’s balance sheet. This press release contains forward-looking statements that involve risks and uncertainties, including statements regarding the expected benefits of the acquisition of VictorOps, the impact of the acquisition on Splunk’s existing and future products and services, and the capabilities of VictorOps’ products and services, including when combined with Splunk’s. There are a significant number of factors that could cause actual results to differ materially from statements made in this press release, including: difficulties encountered in closing and integrating the merged business, technologies, personnel and operations; costs related to the acquisition; market acceptance of the acquisition and resulting products and services; Splunk’s inability to realize value from its significant investments in its business, including product and service innovations; and general market, political, economic and business conditions. Additional information on potential factors that could affect Splunk’s financial results is included in the company’s Quarterly Report on Form 10-Q for the quarter ended April 30, 2018, which is on file with the U.S. Securities and Exchange Commission. Splunk does not assume any obligation to update the forward-looking statements provided to reflect events that occur or circumstances that exist after the date on which they were made.